A massive 7.2 magnitude earthquake hit the southern state of Oaxaca, Mexico, on Friday afternoon. Video footage showed the terrifying scene inside buildings. 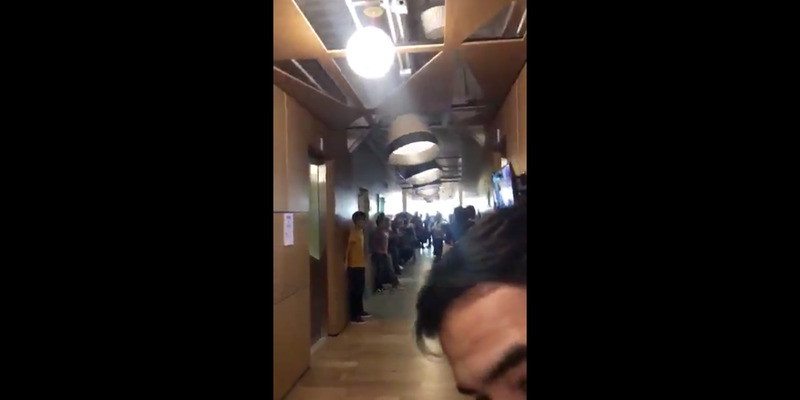 Footage of the massive earthquake that hit a southern state in Mexico on Friday showed the terrifying scene from inside several buildings. The magnitude of the earthquake in Oaxaca ranged between 7.2 and 7.5 on Friday afternoon, at a depth of about 15.3 miles, according to the US Geological Survey. Tremors from the earthquake were reportedly felt as far away as Guatemala. Buildings swayed and seismic alarms blared throughout the city, Reuters reported. Images of the scene showed groups of people gathering outside following the incident. So far, no deaths have been reported, according to Interior Minister Alfonso Navarrete. In September, an 8.2 magnitude earthquake killed at least 78 people in Oaxaca and another 16 in Chiapas, the US Geological Survey reported. Another 7.1 magnitude earthquake hit Mexico City 11-days later, killing at least 300 people.